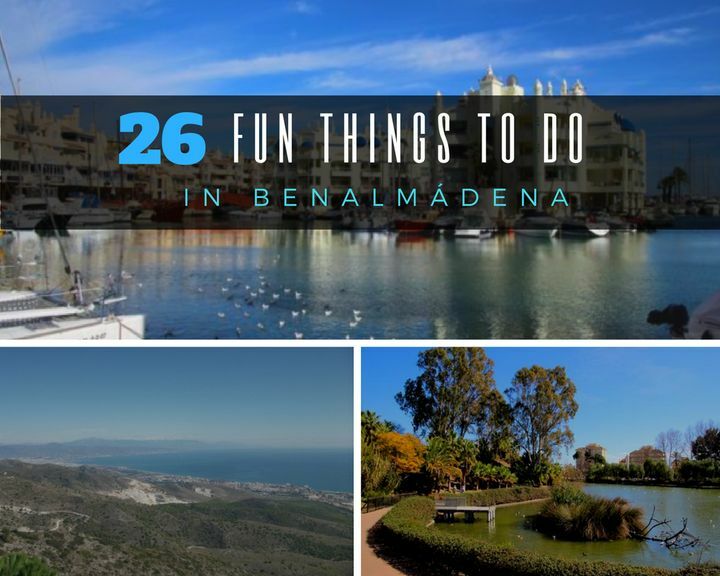 You are here: Home › 26 Fun Things to do on Your Next Benalmadena Holiday: Our A to Z Guide! If you don’t mind heights, this is a definite must! A 15-minute ride to the top of the Calamorro Mountain behind Benalmadena for some of the most amazing views! After all that eating out, you’ll want to shed some of those unwanted kilos… so head down to Boyd’s Gym for a Zumba class or, if you prefer something a little less strenuous, a yoga or pilates class. Enjoy a relaxing game of golf.! 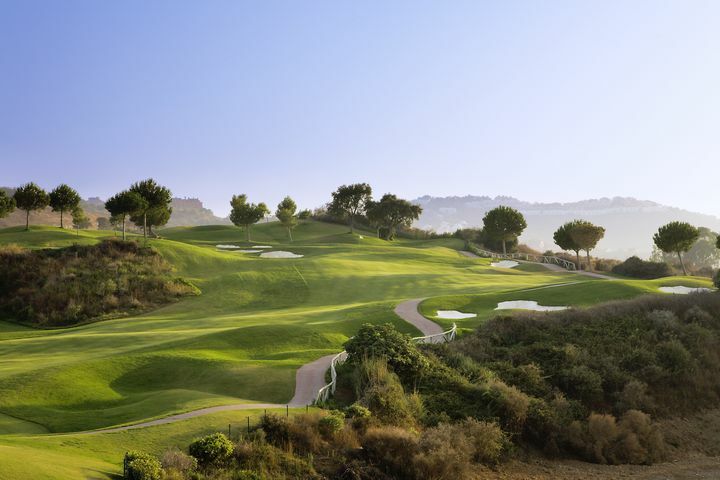 Choose from a wide selection of top class golf courses; just ask at our Golf & Leisure Desk, they have arranged discounted green fees with many of the local clubs and will help you arrange all you need for a great day of golf. The El Ranchito Andalucian Horse Show is a true equestrian ballet with amazing music, spectacular costumes and unbelievable dressage…Not to be missed! We’re lucky enough to have Spain’s very 1st Ice Bar in Benalmadena. Head down to Boal’s Ice Bar and “Chill Out”(Literally) with a fantastic cocktail in a glass made of ice! For those of you looking for a real adventure and unique experience, we recommend you take a drive down to Tarifa on the Atlantic coast. Approximately 2 hours drive from Benalmadena, Tarifa is the Kite Surf capital of Europe; here you’ll be able to have lessons and rent the equipment necessary to experience this exhilarating sport! 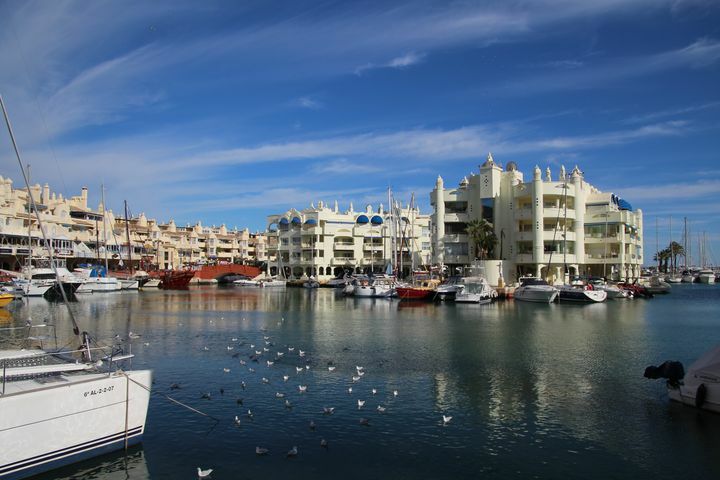 With a wide selection of restaurants, bars, shops, lots of boats and even an aquarium (Sea Life) the Marina in Benalmadena is the perfect place for a family day out. 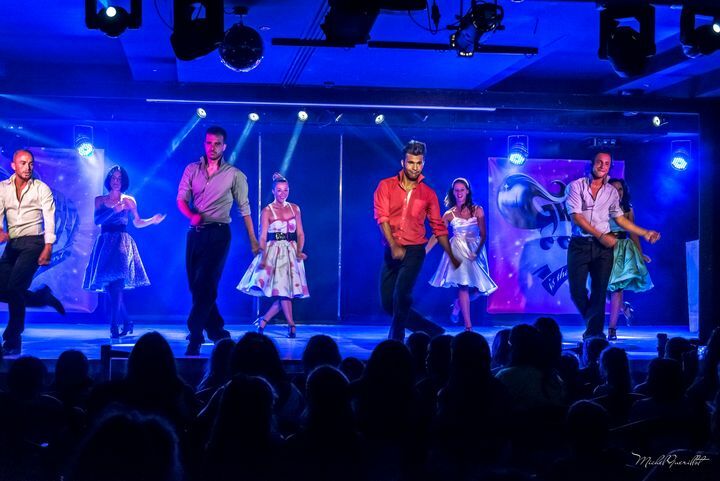 If you enjoy spending a night on the town, there’s no better place than Benalmadena. Head over to 24 hour Square or the Marina, two of the most popular night spots. If you’re feeling adventurous, grab a taxi and head down to the world famous Puerto Banus and mingle with the Marbella jet set. Benalmadena is the perfect base for exploring the beauty of the Costa del Sol and the rest of Andalucia. Our Leisure Desk offers a wide range of excursions and day trips to cities such as Granada, Seville or Cordoba. 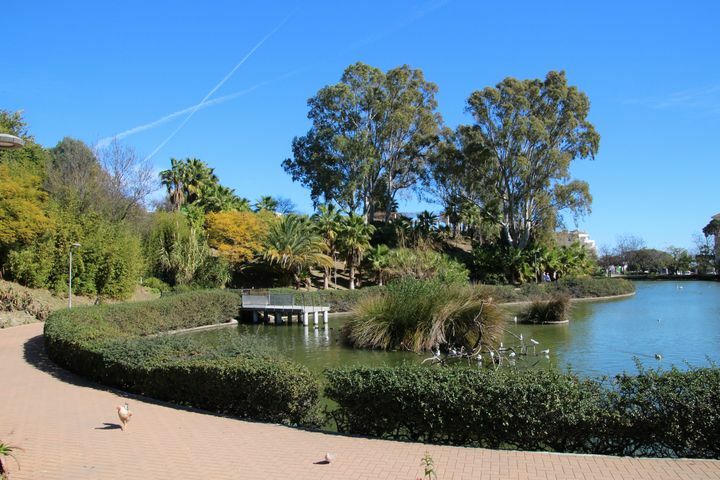 Paloma Park is located in the centre of Benalmadena Costa; perfect for a leisurely stroll, this impressive park has a large lake, ample garden areas (ideal for a picnic), playgrounds for children and even live animals which roam freely! This is a definite “must see” during your holiday. There are plenty of nice ‘Chiringuitos’ and beach bars in Benalmadena where you can spend a relaxing afternoon… may we suggest you in indulge in a refreshing Mojito at Salitos Beach Bar or Luna Beach Club? 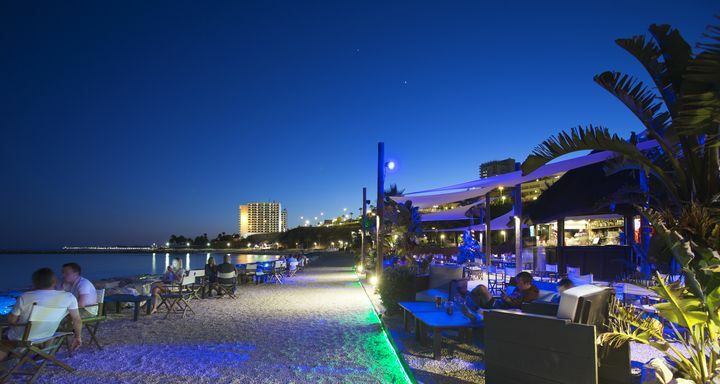 Salitos Bar, the perfect chillout spot! This is a family favourite… with the live dolphin show, sea lion show, penguin exhibition and lots more, your kids will love you forever! Another classic attraction in Benalmadena… This amusement park has a whole selection of fun rides for kids and adults alike. With a good selection of restaurants and bars and live entertainment throughout the evening, you’re guaranteed a great day out! Make sure you try the Haunted House; it’s had rave reviews and judging by some of the faces of the people coming out at the end, it lives up to its name! 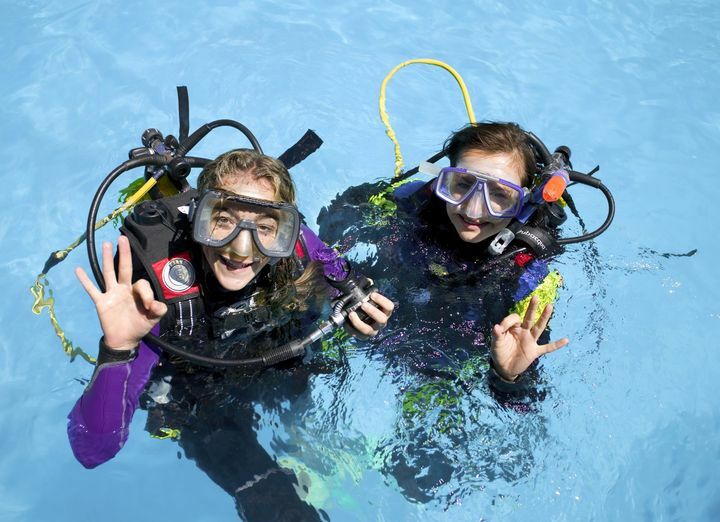 Although not the Caribbean, the Costa del Sol is very popular amongst Scuba Divers. We’re fortunate enough to have our own PADI Dive Centre at Sunset Beach Club and our guests can choose from a fantastic range of dive packages and interesting dive sites to explore. We’re spoilt for choice when it comes to street markets on the Costa del Sol. From Monday to Sunday, there’s always a street market nearby for you to visit; browse the colourful stalls and pick up some fantastic gifts and souvenirs. Whether you go for an early morning brisk walk as part of your exercise regime or a romantic evening stroll with a loved one, the Benalmadena promenade is the perfect place! You’ve got plenty of great bars and restaurants along the way to indulge in a cool beer and a typical Spanish tapa – happy days! 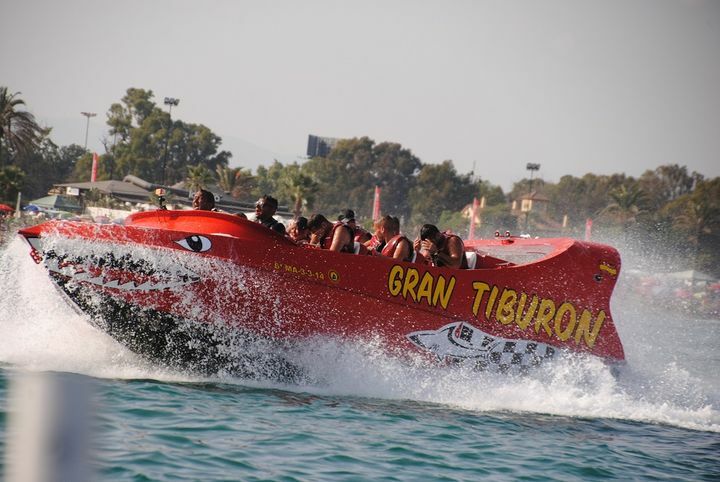 Jump aboard ‘Gran Tiburón’ (Great Shark) and hold on for a white-knuckle rollercoaster ride as you skim over the waves; you’re in for the ride of your life! Head down to Boyd’s Fitness Centre on the 1st floor of the hotel for a relaxing yoga class. No doubt you’ll already be relaxed, after all, you are on holiday; however, a good yoga session will just make you feel that little bit better. And for those of you who prefer to watch a video, here’s a video summary of this post! If you’re planning a holiday in Benalmadena, make sure you visit our website at www.sunsetbeachclub.com; we’ve got some great prices and lots of fabulous facilities for a fun family holiday. 10 Responses to 26 Fun Things to do on Your Next Benalmadena Holiday: Our A to Z Guide! Hi, how much is the jet skiing ? Hi can you tell me if there are any evening boat excursions with dinning and drinks? I believe there are Tony… best thing to do is to head down to the Marina and ask there as there are plenty of boat charters available. I’m looking for a day drip to Gibraltar, is this readily available, and how long a journey? Expensive? Hi, our Leisure Desk offers day trips to Gibraltar from just €19. The bus takes approximately 2.5 hours to get there. What is the weather like around the 18th-25th October because we are coming to Sunset Beach then. Where are the nearest markets and on what days because you can’t visit somewhere new without exploring all the local markets. Look forward to seeing you then. Hi Justin. Thank you for your quick response and also the info.